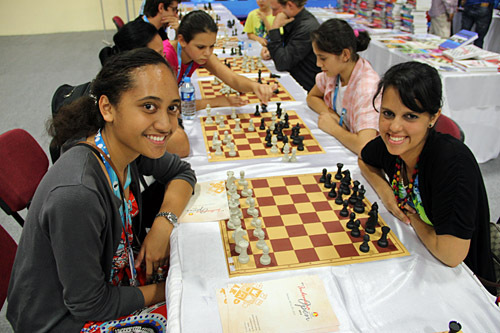 Olympiad tournaments are full of interesting personalities ranging from professional players, to enthusiastic organizers and to national champions in tiny chess countries. The Chess Drum was able to get 12 interviews during the 40th Chess Olympiad including its third with three-time Olympic champion Levon Aronian. Please sit back and enjoy these short interviews and feel free to give your feedback! All photos by Daaim Shabazz, The Chess Drum. 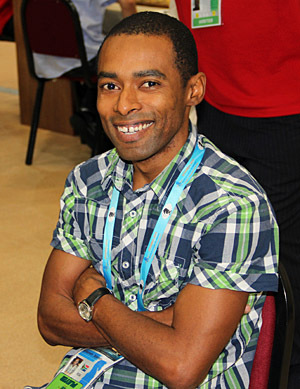 CM Duane Rowe (Jamaica) – This former Jamaica national champion is living in Oman as an energy engineer, but still flies the Jamaican flag. 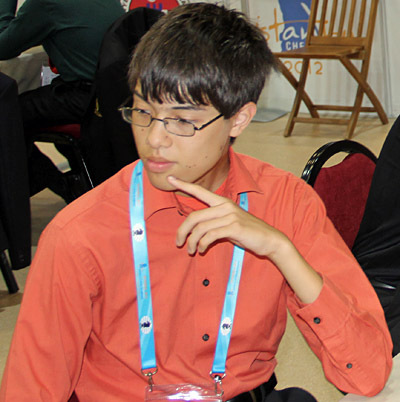 He is manning the tables in his 7th Olympiad and talks about his experience and life outside of chess. 5:54 minutes Sorry about quality! 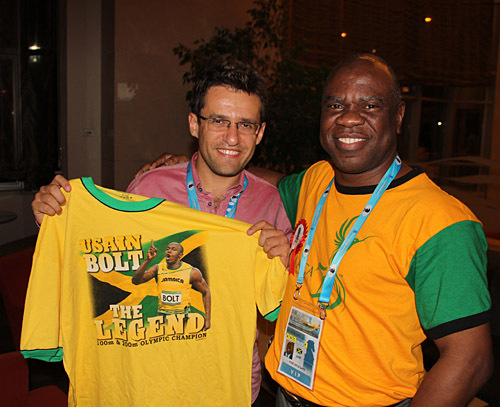 Jamaicans tried to bring the “Lightening Bolt” to Istanbul. Pictured above right to left are: FM Warren Elliott, IM Jomo Pitterson, CM Duane Rowe and Andrew Mellace. Zimbabwe’s Rodwell Makoto looks on. 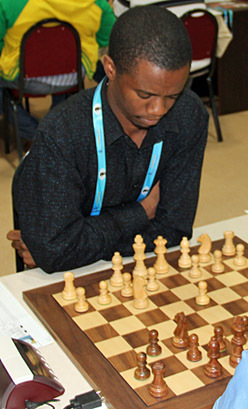 FM Warren Elliott (Jamaica) – The talisman for Jamaica, Elliott drew GM Alexander Beliavsky in round one and had high hopes for a strong performance. However he mentioned the side effects of rust built up after dedicating time to his academy. With his academy thriving he still has goals for chess. Very optimistic. 6:39 minutes Sorry about quality! 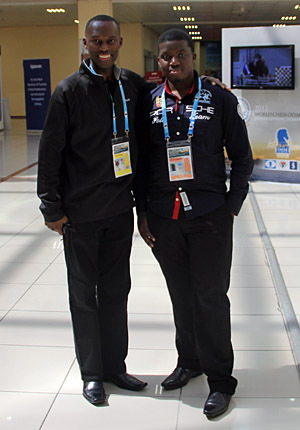 Kebadu Belachew (Ethiopia) – A tireless worker for the advancement of Ethiopian chess, Belachew (FIDE Delegate) talks about the Olympiad experience for the Ethiopians and programs in the country. He talks about Ruth Leykan a player who has found a way out of poverty and now riding a wave of success in Istanbul. 11:40 minutes Sorry about quality! 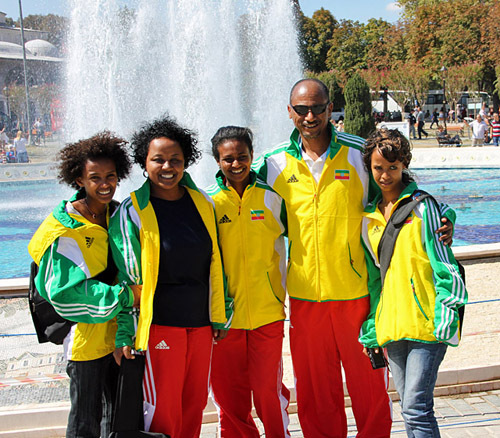 Kebadu Belachew with the Ethiopian women’s team. 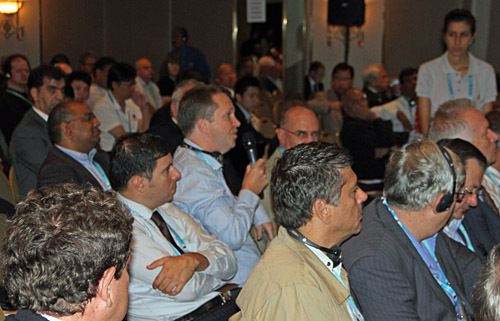 GM Nigel Short (England) – The British legend had just come out of the General Assembly session where he was asked about his views on the Olympiad. He excoriated Ali Nihat Yazici and some of the outrageous conditions offered. He also weighed in on the debate on draws. 8:13 minutes Sorry about quality! GM Nigel Short making a point at the General Assembly. 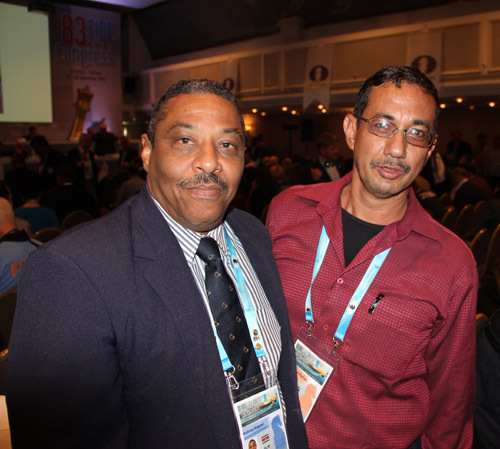 Suriname’s FIDE Delegates Vice President Aubrey Kappel and Carlos dos Ramos, President of Suriname Chess Federation. Daaim Shabazz and Tshenolo Maruatona. 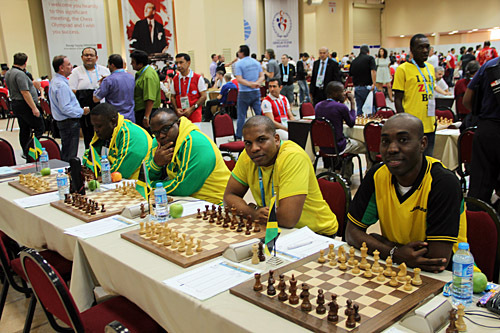 from Jamaica’s Chess President Ian Wilkinson. Sorry, but I am attempting to re-engineer the interviews with Duane Rowe, FM Warren Elliott, Kebadu Belachew and GM Nigel Short. There was some serious distortion in the audio quality. My recorder saved the audio as .voc files and when I converted them using a utility I got all types of distortion and clicks. Thanks for the interviews. GM Aronian always presents himself with such class. I am very impressed and happy for Kenny Solomon (performance rating of 2600!). 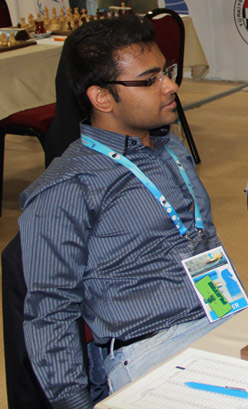 Hope he can get the last FIDE points to make it official as a GM at age 32. Great stuff Daaim. For the record, Duane is in his seventh straight Olympiad (2000-2012). Keep up the great work! Right… he said 2000 in the interview which makes seven. Next time I will have to get Deborah Porter for a few words. Great stuff Daaim Shabazz. We in Africa are really proud of your work. Keep the drum beating! !